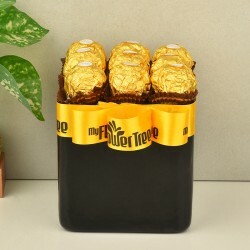 Birthdays are supposed to special and to make them special, you need special Gifts and Cakes for your loved one. With Flowers, Cakes, Greeting Cards, Chocolates, Perfumes, Mugs and Cushions, we are ready to through the best Birthday party for your loved ones. Make this Birthday count with our Gifts. Ahmedabad is the place for all the peace loving and food loving people. It's the place that can take you back in time. It is the largest city in the state of Gujarat. The Sabarmati River runs through the pure place. Across the river, the Calico Museum of Textiles, once a cloth merchant's mansion, has a significant collection of antique and modern fabrics. You can find everything in Ahmedabad and anyone living here in a lucky person. 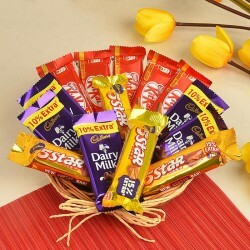 Send birthday gifts to Ahmedabad and make your special ones happy. Don't ever let geography come between you and your loved ones when it comes to celebrating special days like Birthdays. 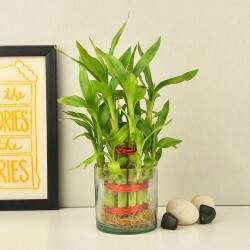 MyFlowerTree is known for its products and light speed delivery. We deliver what we promise and right now, we are promising same day delivery to Ahmedabad. Send a Birthday surprise to loved ones even if you order just a few hours before the celebrations. With Same Day Delivery, you will never be late. All you need to do is to place your order before 5 p.m. and it will be delivered on the same day. You can send delicious Cakes and fragrant Flowers to make someone's Birthday extra special. 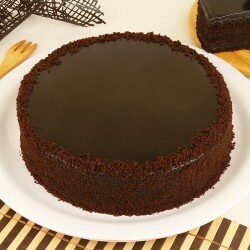 We have the most delicious Cakes which are available in quantities like Half Kg, 1 Kg, 2 Kg, 3 Kg, 4 Kg, 5 Kg and more. Other than our exciting Cake flavours like Chocolate, Vanilla, Strawberry, Blueberry, Mango, Pineapple, Kiwi, Mixed Fruit, Red Velvet, Butterscotch, Chocolate, Black Forest, Coffee, Caramel, and more; we also have other Cake customizations which are hard to get. You can get your Cake personalised by getting a photo printed on the top of it. Send a special photo cake in Ahmedabad to the loved ones who always appreciate the unique and unconventional things in life. We also have an amazing collection of beautiful and fragrant flowers which will add positivity in the lives of your loved ones. 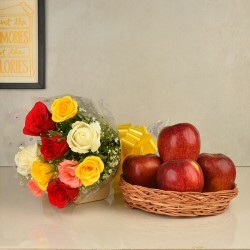 Deliver flowers to Ahmedabad like Roses, Carnations, Gerberas, Lilies, Orchids, Tulips, Birds of paradise to your loved ones and make their Birthday memorable. Flowers are the most special thing that you can give to your loved ones. If you want, you can even send a Combo of these delicious Cakes and Flowers. Two are always better than one and let your special people know how much they are loved with these combos. For the people of Ahmedabad, we have some really special Gifts. 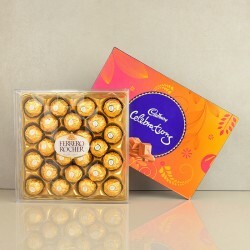 We all want something special for our loved ones that could stay with them for a longer period of time. O serve this purpose, we have curated a range of Birthday special Mugs and Cushions which will be the perfect souvenirs for your loved ones. 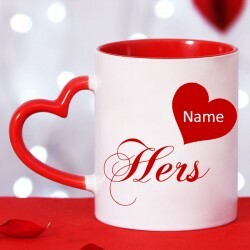 Along with these special Mugs and Cushions, you can also send chocolates, cupcakes, greeting cards, jewellery, wallets, perfumes and other Birthday Gifts to your special people on their Birthday. 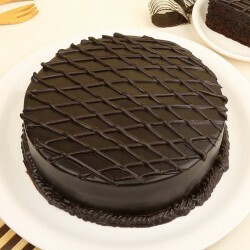 birthday cake delivery in Ahmedabad is really easy now with our special online delivery services.